Paranasal sinuses. 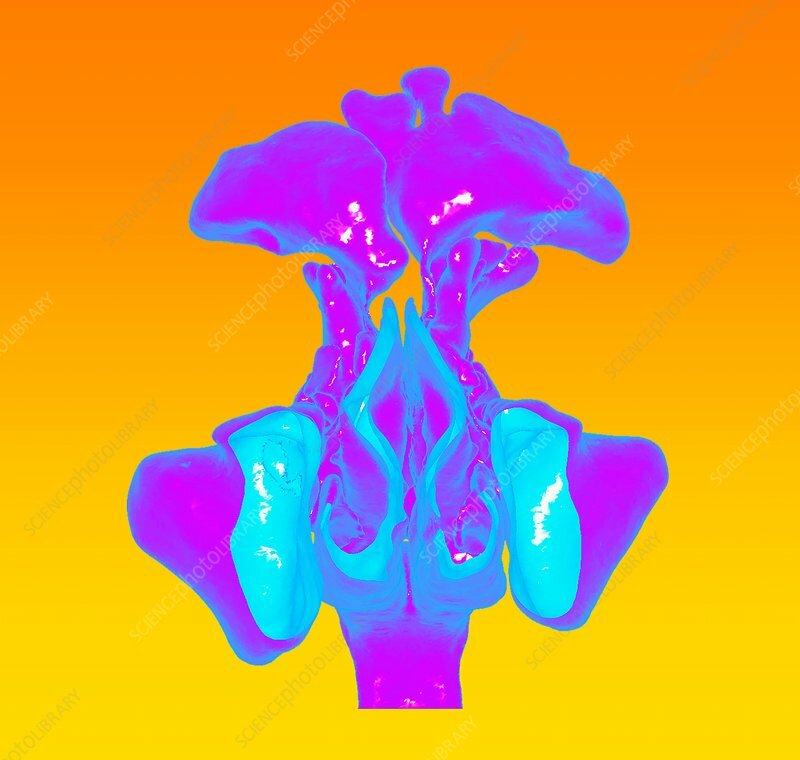 Coloured 3D computed tomography (CT) scan of the paranasal sinuses. The paranasal sinuses are spaces in the bones surrounding the eyes and nose, and the cheek bones of the upper jaw. They lighten the bones of the skull and reduce the weight of the head. They are connected to the nasal passages and are lined with mucous membranes. They can fill with fluid and secrete mucus during an infection.